An entirely new way to shave. 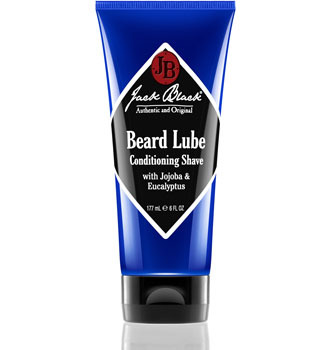 Unlike traditional shaving foams and gels which can dry out skin, our award winning Beard Lube is a pre-shave oil, shave cream and facial skin treatment in one easy-to-use product specially formulated for men’s shaving needs. The unique formula contains phospholipids – a rich source of essential fatty acids that are essential to the function of cell membranes – to bind moisture to the skin and support the natural skin barrier. The lightweight, penetrating formula not only helps prepare your beard by penetrating and softening whisker growth, it holds in moisture so your shaving blade glides easily. 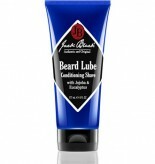 Refreshes skin, too, for an easier, smoother shave and less razor burn. The unique see-through texture lets you see where you’re shaving, helping to prevent nicks and cuts–especially great for shaving side burns, moustache and head. Won’t clog your blade, because it’s super light and rinses easily.